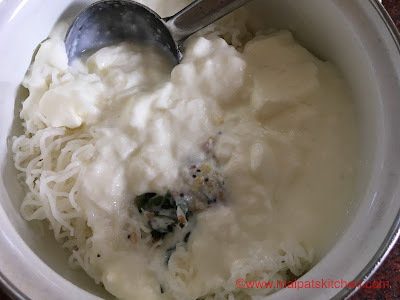 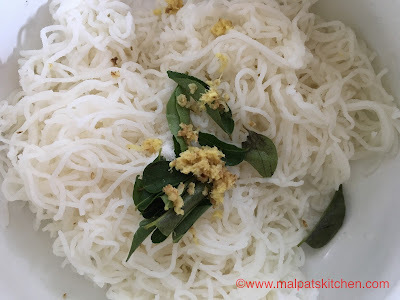 This sevai always forms the Grand Finale for a Sevai-varieties dinner. 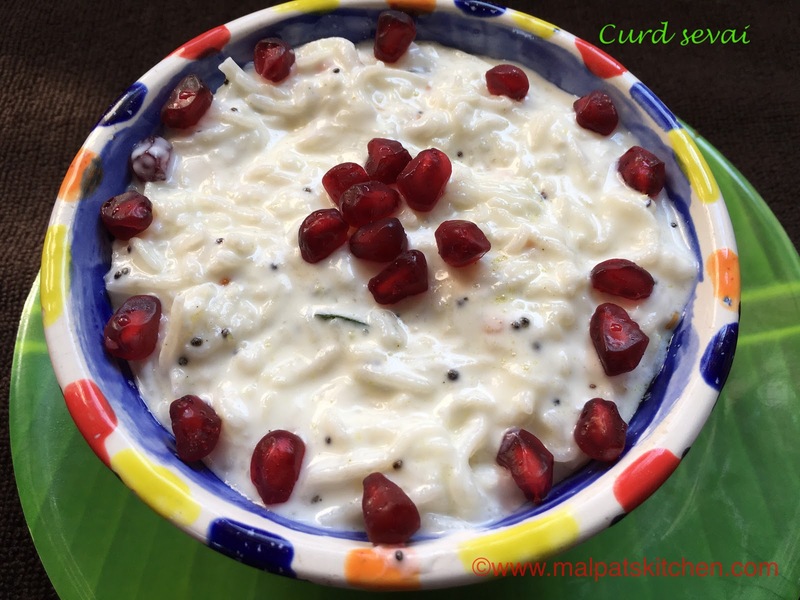 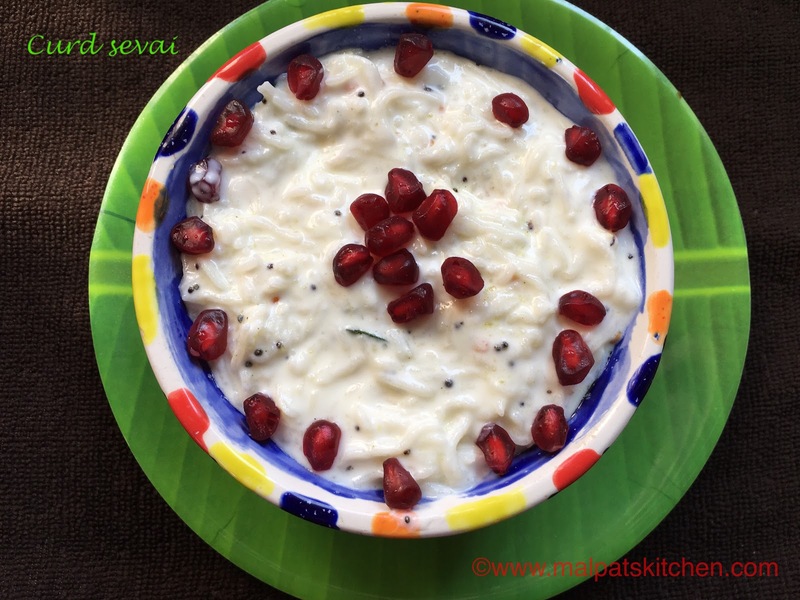 Don't forget to sprinkle some pomegranate arils over the delicious, creamy Curd sevai!!! 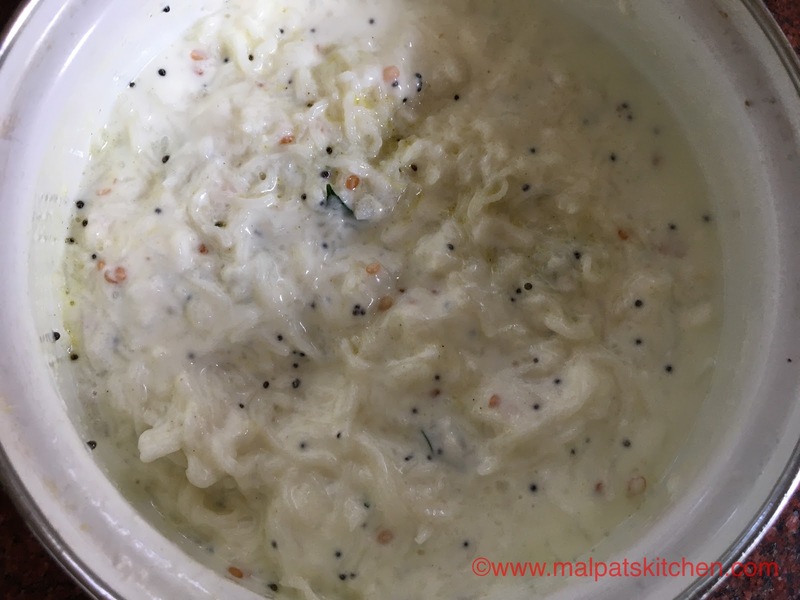 *Some grated carrots, cucumbers etc can also be added. 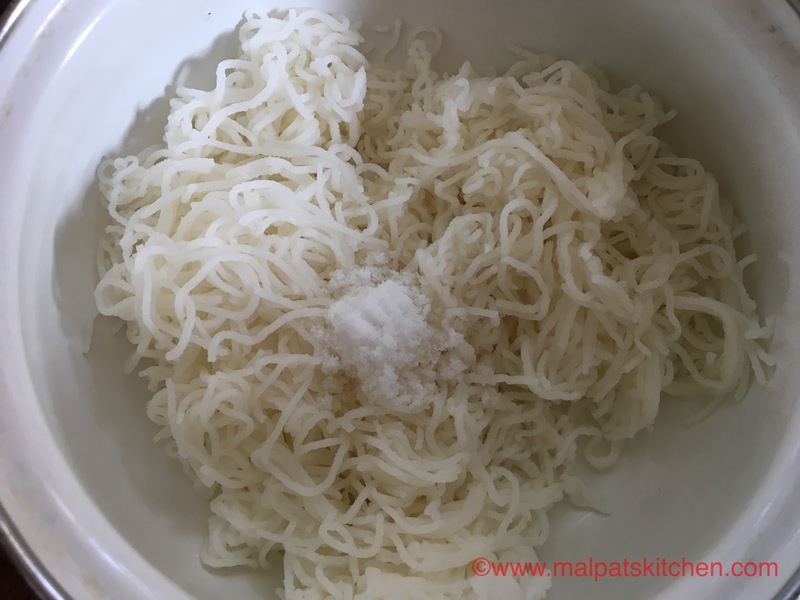 *Finely chopped mango pieces or Vadumangai pieces can be added too. 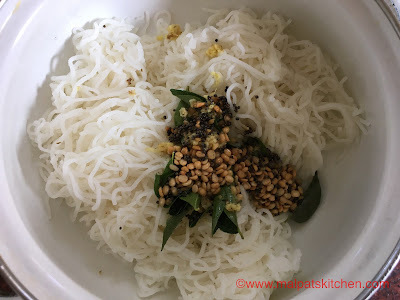 *Some curd chillies can be fried, crushed and added. *Some boondi can also be sprinkled.